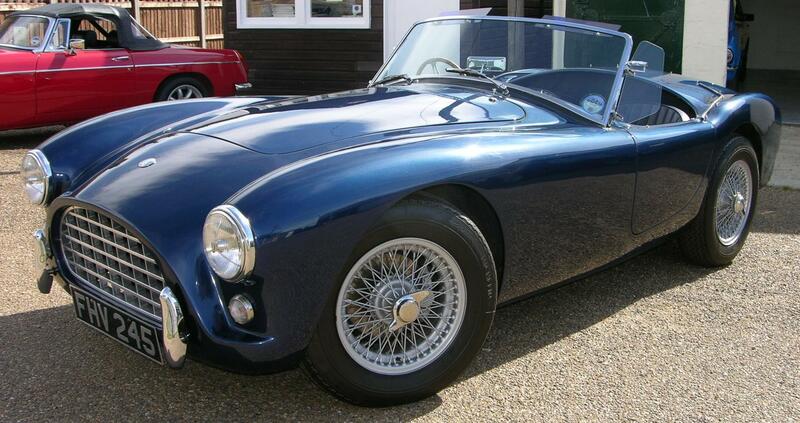 If you mention AC to most enthusiasts they immediately think of the Cobra – of which many fibreglass replicas exist. This car was the quintessential high performance sports car and was created at a time when many manufacturers were building similar vehicles. More on this later but let’s start at the beginning back in 1903. It was in 1903 that the forerunner of AC was founded by the Weller brothers who built a 20hp touring car. Their financiers had other ideas, as it was an expensive car for its day and persuaded them to build a cheaper run-about, so they created a three-wheeled commercial delivery vehicle they called the Auto Carrier. 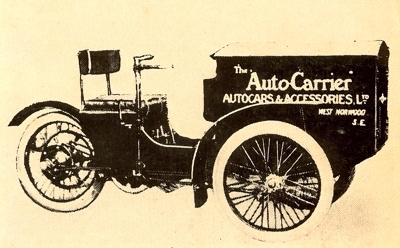 Auto Cars and Accessories was formed in 1904 along with production of the delivery vehicles and they added the Sociable, which was the Auto Carrier with a passenger seat in place of the tray. By 1911, Auto Cars had become Auto Carriers and two years later they built their first 4-wheeled car, which just got into production when Europe collapsed into combative chaos. This meant that like many other factories, AC built items for the war effort and car production halted until hostilities ended at which time they started again. As with many early manufacturers who survived through the decades, AC was at the forefront of technology and after the war they created one of the first overhead cam 6 cylinder engines that lasted for 40 years of production – this was at a time when many cars were still using side valve or early overhead valve motors! However, despite their technical brilliance, the 1920s and 1930s were a difficult time for the company. In 1921, the Weller brothers sold a portion of the company to Selwyn Edge, an Australian-born pioneer race driver who was instrumental in early racing and importing European cars to the UK. He pushed out the original financiers and ultimately bought the company outright in 1927 but not before changing the name from Auto Carriers to firstly AC Cars Ltd and then AC (Acedes) Ltd. The economic crash of 1929 meant that the firm went into liquidation (there were no Government bail-outs in those days!) and Edge sold the company to the Hurlock family, a haulage company who only wanted the property not the tools. They did keep the service department going to help the existing owners. One of the Hurlocks got the mechanics to build a car for him and he was so happy with it that they started to make fresh cars with chassis from Standard and replacement or upgraded components. Production volume was low – AC was now a hand built car with only a few cars leaving the factory every month. Then Europe imploded again and for the second time in 20 years, the factory stopped production to help the war effort. Several years after the war ended, AC won a contract to build invalid carriages for the British Government – they built them for 30 years and it was in complete contrast to the other cars they built! 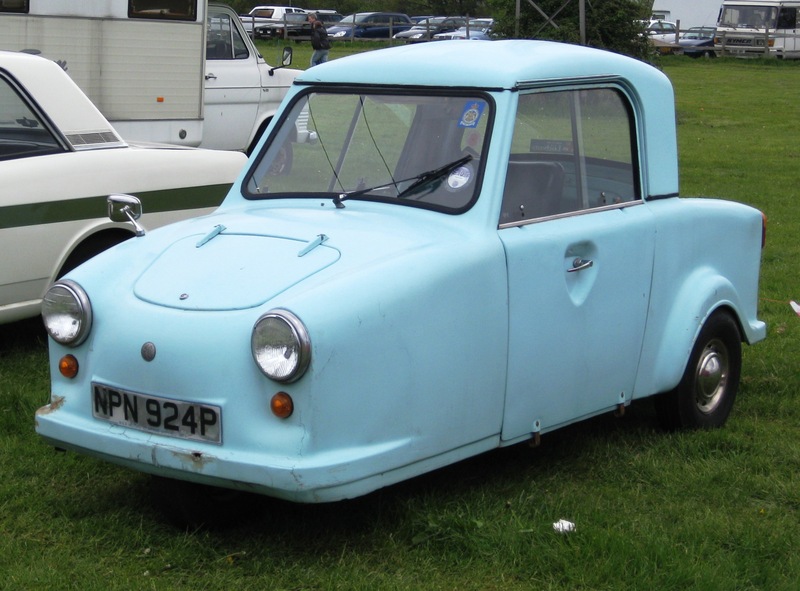 These small vehicles were built using fibreglass with BSA motorcycle engines. On the flip side, they started building 2 litre sports convertibles and saloons using the original pre-war engine and ash frames – many early 1950s cars used this type of wood – it was very light, strong and flexible. The modern history of AC started in 1953 when they showcased the Ace convertible with the 2 litre motor and one of their dealers, Ken Rudd, successful campaigned a modified Ace with a Bristol engine pumping out 135 hp. This motor was based on a BMW design (Bristol had effectively pinched BMW designs after the war) and the car became the Ace-Bristol as it went into production during the late 1950s. When Bristol switched to big bore Chrysler V8s in the early 1960s, AC via Rudd switched to a 6 cylinder Ford motor originally found in the Zephyr. This motor with some mods could reach 170hp – quite a powerhouse for its day! This became the Ace 2.6. The Ace had a couple of sisters, the Aceca, a fixed head couple which could be bought with the AC or Bristol powerplants, and the Greyhound a stretched Aceca that accommodated 4 people and used the Bristol motor. In 1962, Carroll Shelby persuaded AC to allow him to shoehorn a small block Ford V8 into the chassis that became the Cobra. Shelby was looking for a Corvette beater and recognised that the Europeans produced better handling cars but without the power output. Shoving in a massive motor resolved that! The Cobra started a craze that included TVR, Triumph, Sunbeam and others to go down a similar path by taking a small sports car and getting a V8 to fit and modifying the chassis to cope with the extra power. Think Grantura, Griffith and Tiger, even Triumph and MG with the GT6 & MGC went down that path with their own larger motors! Two years later, Shelby was being beaten by Ferrari and other teams, so he took the next step – more power was needed so the small block was replaced by a 6-litre Ford V8! 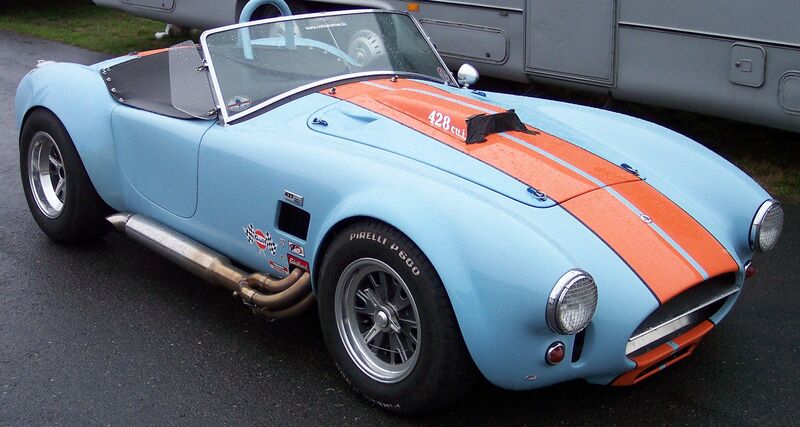 The Ace/Cobra chassis needed a major overhaul and the Mk3 Cobra was the result – so good was this chassis that Shelby went further and slotted in a 427 V8 – all 7 litres of it! This car had 385 horses in stock trim before any race enhancements were made – not bad for car that started out with a low power 2 litre! AC sold the 427 Cobra as a production model with limited success – it was probably too powerful for its day! Shelby built a batch and sold 37 versions as the Cobra 427 S/C – it is these cars that are worth the high $$ today, although if you get an original AC you would still be happy! AC also built the 289 Cobra with a smaller motor for the European market as well. With the advent of the true Grand Touring class during the 1960s, AC worked with the Italian designer Frua to produce a stretched 2+2 Cobra called the 428 Frua. Not many were built as the production started in England and finished in Italy, which meant that the costs were very high and it was therefore marketed to the higher echelons of society. A one off 429 Frua was also built – the design was originally developed for Monteverdi, but didn’t materialise, so Frua put the AC components in. During the 1970s with the first fuel crisis looming, the Hurlock family needed a smaller sports car so they went looking for a new design. 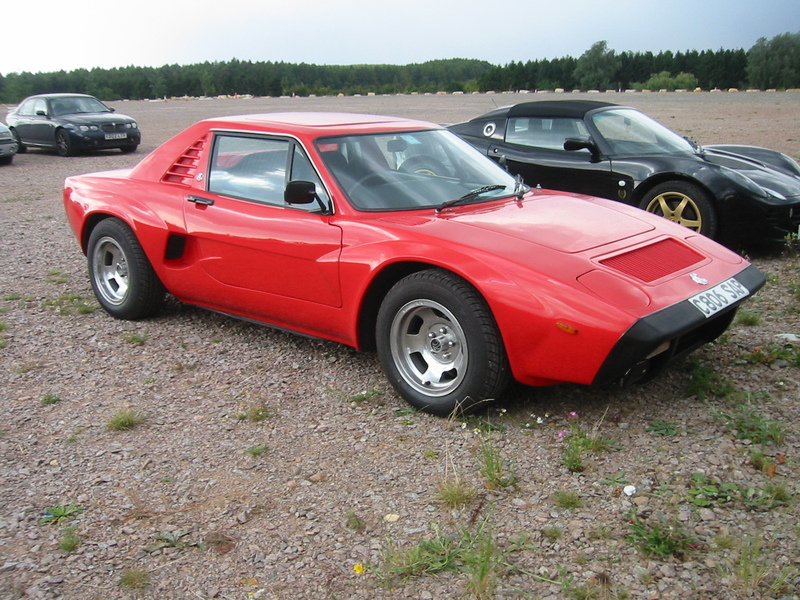 They bought the rights to a 2 seater mid engined sports car and showed off the ME3000 fitted with a 3-litre Ford V6. Unfortunately, the design regulations changed during development and this meant that the car needed a redesign after failing a crash test. So the car that was presented to the public in the early 1970s finally reached production by 1979! There was now a recession in the UK that affected sales and so Hurlock sold the rights to a new entity, AC (Scotland) PLC, who moved production to Glasgow where only 30 units were built before the receivers were called in. The original AC was sold to William West who split the company into two (property and cars) and then on sold the auto business to Brian Angliss. Not much is known about West. Angliss had been making replicas of the Mk3 called Autokraft and he bought the AC name from the Hurlocks in 1986 and signed a joint agreement with Ford to build the Mk4 using Ford running gear. He was very keen on rebuilding the AC brand and had a new AC Ace designed and even built 50 units before he ran out of money and the whole thing collapsed into a heap in 1996. And this is where the AC name started to spin like a top: in 1996 Angliss sold the name to Alan Lubinsky who continued production as the AC Car Group. He transferred the trademark to a US based company Acedes Holdings and after producing several cars, Lubinsky went bankrupt. He reformed with some outside help and then entered an agreement with Carroll Shelby to build some replicas. After a short period, Shelby sued for a breach of contract and Lubinsky moved the production to Malta – a tiny island in the Mediterranean Sea! He was then involved in another breach of contract and allegedly did a runner! Meanwhile the successor to AutoKraft appeared to have regained control of the AC name and intended to build cars again – but none have been seen. I suspect that this merry go round will continue for some time although it’s a pity to see such a historical name being thrown around, chewed up and spat out like a dog with a tennis ball. So, if you want a true low volume classic, go and search for an AC. Most models are now very rare or you have to settle for one of the many replicas being built around the world. One of the ME3000 prototypes has come up for sale in the UK. It was fitted with an Alfa Romeo V6 by the factory as part of their testing and is red in colour with the UK registration: VPC 634X. First Published: 13th November 2015. Updated: 9th February 2019.